I have been in such a better mood lately, because what I have been doing the past few weeks has seriously been helping the tendon/bursitis. In fact, so much so that the past four days the pain and swelling has gone down so much, it is the best it has been since the whole thing started almost two years ago. This whole year has been a year of recovery. Full of its ups and downs. I remember back in July when I met with the Specialist the last time. He wasn't sure if I would ever really fully heal from this, because it had gone on too long, he said the odds might be against me. Of course at the time, I was bound and determined to prove the odds wrong. But the past 5 months, I had sort of let that thought go and I was okay to settle with the fact that it might not heal all the way, but if I was careful I could resume and get back to running and the stuff I love. Just keeping off my feet at work was the key. I had even gotten to the point that I was okay with dealing with the pain levels and pretended that they didn't bother me too much. I had the perfect daily PT and Icing routine that kept things going my way. The flare up of bursitis a few weeks ago, at first I thought was horrible. But in actuality it was a blessing, because now I have not only figured out how to keep the bursitis fading. But the same things I am doing have been helping the tendon. I haven't had actual tendon pain in almost 2 weeks now, that is huge for me! On a scale of 1-100 on my pain levels and swelling levels (100 being worst, 1 being gone.). If you asked me a month ago, I would have told you the best it has ever gotten this year was about a 35. However, the past week has been such a significant change, that I can say it has dropped down to around a 15. I am beyond hopeful of full recovery again! Sorry I know I sound like a broken record on this work injury subject. But I just couldn't help but share the great and promising news! As for the rest of life, things are also going pretty good. I think I finally have almost everything ready for Christmas. The 2015 wedding season has already started. The brides are already calling and trying to get first dibs on all their spring and summer wedding plans. Which it's too early to tell, but if this is a sign of things to come. Especially after everyone gets engaged at Christmas and New Years, this could be a great wedding year for me! I am going to really start looking for another full time job come January. I keep saying that I am, but this time I am completely serious! Yes, I plan on continuing to run my wedding company. But years ago I did it, and worked full time and I managed. I really love working at the library, but the job injured me so its best I let that one go in the next month or so. See, with things going well right now, my hopes are higher than ever that I will be back to marathons come spring. But in the financial sense, well lets just say I blew my entire remaining 19 state marathon budget on medical bills, PT and the other treatment things. So I need money, which means taking on other jobs and a full time job would give exactly the income needed to possibly run 6-10 marathons next year. 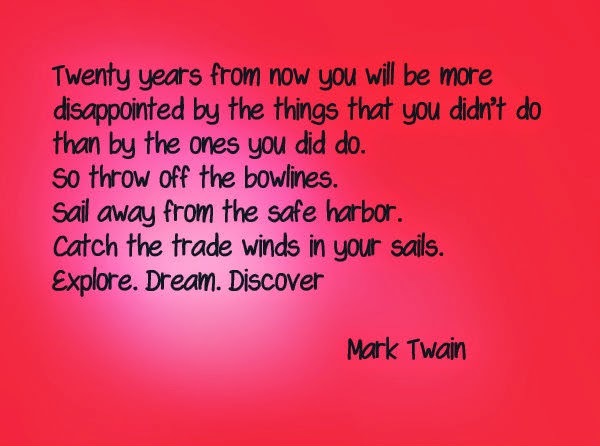 I have no idea right now where to go, but I will say it's going to be something I will enjoy, life is too short to work a job your not happy doing! So you may have noticed a few less posts lately. I decided with the holidays, and the extra hours I am putting in to get some good money saved up for a down payment on a new car. To cut back on the blogging a little. Although you may not see too much on here between now and the end of the year. I will tell you this, next year I have some great things in store. One of which, is a Grow Your Blog Hop. I actually almost did this last July, but held back because I wanted to work on it a little and do some more thinking to get it ready. I am pretty excited about it, and it will need at least 25 interested and dedicated bloggers to join if not more, to make it work. So if I can find the bloggers who want to participate it should be highly beneficial and rewarding for all who join and participate. I'll be rolling this out the first week in January with all of the details and the sign up, for those who might be interested. 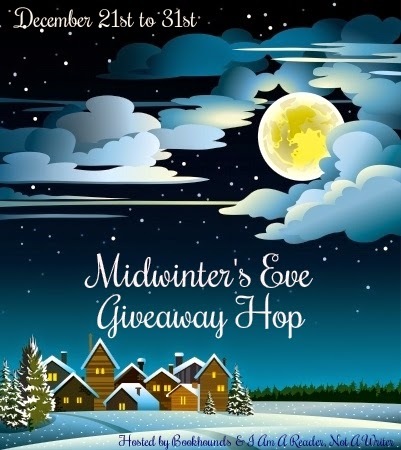 I am excited to participate in this large book giveaway hop. I want to thank I Am a Reader Not a Writer for hosting this hop. I was going to giveaway one of my favorite books that I read this year. But I realized what may be one of my favorites may not be another. So I am instead going to give a Amazon gift card away to one winner. That way they can purchase a book of their choice. I am making it really simple to enter. Just follow my blog, or tell me how you do. You can find all of my follow options on the right side column next to this post. Then tell me how you do so in the Rafflecopter form below. For those who have a little more time, and are interested in earning additional entries, you'll also see a few other things you can do in the Rafflecopter form below. Normally I would have a book review post running. But since it is nearing the end of the year, I thought I would do something a little different. In January I mentioned I had a goal this year to read at least 60 books. At the time I thought it was a crazy goal, and I wasn't sure if I would make it. Sunday afternoons I set aside for reading. I try to read 3-4 hours if I can. I generally read about 100 pages an hour so yes I am a pretty fast reader which means I can usually get through most novels in one afternoon. 6 of those books were audio books I listened to. I might get a couple more read before the end of the year, because I just picked up 2 sequels today that I have been waiting all year to read and I am already 2/3rds done with #71. You probably think I am a read-a-holic. I wish I could say I read every day, but that is not true. I really only get to read Sunday afternoons with few exceptions. Truthfully, I just read really fast, but I do actually read every word (I promise) I don't skim. I have also found I really enjoy listening to a good book while I run! So with all those books, I do have some favorites! Also, on my book review tab at the top of my blog you can find reviews of all of these books! So what books have made your top 2014 favorite readings? Are any of your favorites similar to my own? Are you a book hugger? If so, what was the last book you hugged? So last week started off on a not so good note when I discovered someone had decided to hit the side of my car and not leave a note. I realized it must of happened on Sunday while at church, and as I left for work Monday morning I was not in the best of moods. However, shortly after I got over the immediate anger of that, I realized I could let this thing set my mood for the week, or I could get over it and move on. So I (even though still not thrilled about it) got over it and I moved on and tried not to think about it the rest of the week. In the end, it worked and I had a great week. 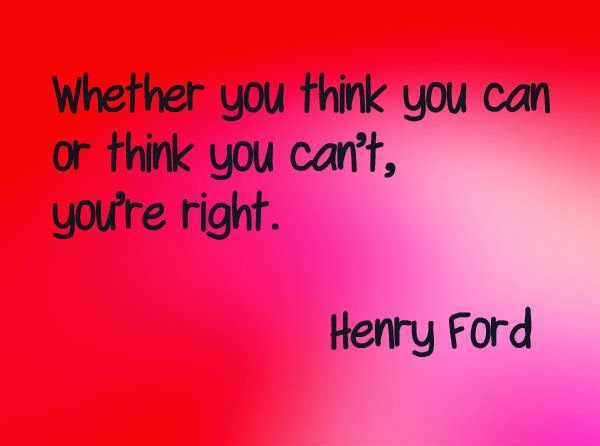 It's amazing what a powerful tool the mind is and how we can use our own mind to either our advantage or disadvantage! Besides the new dent on my car, which lets face had been giving me trouble for months. I must say, it actually has been running great, I think they finally were able to fix the major problem. It hasn't ran this good since I have owned it! It's got one small problem with the gas gage, but I'll just fill it every few days and then I won't have to worry that, that part isn't working well. I mentioned the injury flare up last week, and how bad it had gotten. I spent 4 days in the boot, and then transitioned out for a few hours during each day. I now only wear it at nights and I will be for 2-4 weeks. I did some searching for answers, success was discovered about Tuesday last week. GET THIS, what I am fairly certain is a Bursitis issue along my Achilles Tendon, is actually being cause by get this.... RESTING! Yup, my foot apparently gets more swollen when it is just lying flat on a bed or couch doing nothing. I know, go figure??? But this is me, and nothing about me is ever normal so it actually makes a lot of sense, LOL. Once I discovered the cause, I realized why the boot is helping it so much, its not allowing the foot to relax or go into a relaxed position. Because I am sleeping with it on at night, the NEW swelling has gone down almost completely. I have zero pain in it other than when it's been resting too long without a boot on and it rarely hurts when walking/running as long as I warm up good first. In fact, I was even able to get back to running mid week. Wednesday I headed out for a short 3 mile run and it went well. In fact so well, it actually made the foot feel even better. So, that is why I will be wearing the boot at night for a while, at least for a few more weeks until I am positive the bursitis has left completely! But since it helps, I will do it! I accepted a few new Fitbit friends from one of the groups I participate in a few weeks ago, give a little shout out to my SweatPink sisters! 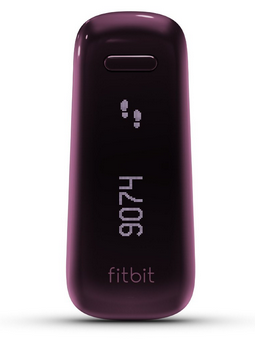 When I first added new "friends" on it, I was near the bottom of the 7 day step count list. Sure, I wasn't able to run last week because of the pains, but still it didn't make me feel good about being last. 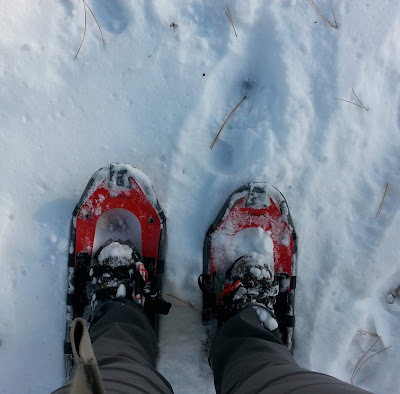 Instead, it inspired me, and when I was able to get out on my feet again I really started kicking it up a few notches. Watching my name climb the list a little each day, knocking another person behind. Ya, if you didn't already know I am super competitive! One day, one of the gals put out a challenge. I happened to notice it, when I had only about 30 minutes to get a short run in before work to see if I could nail the challenge down before 10AM. I didn't have quite enough time, but it gave me a very good start and well although many also completed the challenge, ya I hit the goal first that day. If your up for challenges every now and then, let me know too! I am a little behind on things. My ability to procrastinate more often than not has caught up with me. I realized last night I haven't even sent out my Christmas cards yet. Let alone a list of other things I need to do with Christmas approaching next week. ALSO today is the LAST day for the Holiday Fitness Giveaway going on right now, click HERE to enter, or click on the picture in the top right corner. The giveaway ends tonight at Midnight! Do you procrastinate too, or are you on top of everything for the holidays? 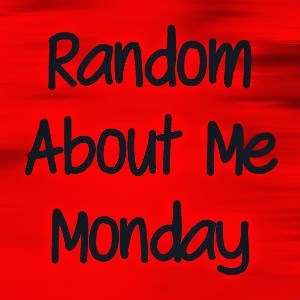 If you read my blog, especially on Wednesdays then you know I love a great book. My tastes are wide, but I do have my favorites each year. Which is why I am excited to be a part of this hop again! 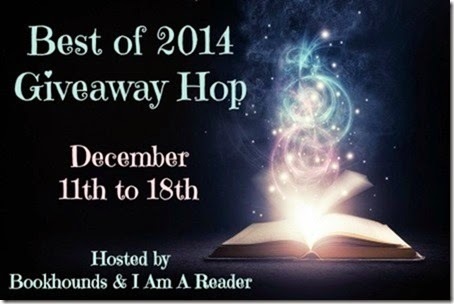 Thank you to Bookhounds & I Am A Reader for hosting this fun year end giveaway hop! I have read a lot of great books this year, however a few have stood out more than others. Although I am only offering your choice of ONE of the three books listed below. These three are just a few of the great books I have read this year. I wish I could choose more than one winner, but right now I can only pick one of you. How do you enter on my blog? Pretty simple, just pick a way to follow me or tell me how you already follow me. I do have a few extra entries for those who have a little additional time to earn a few additional entries but they are only optional. Note: My giveaway is open internationally, however I can only ship a book to a U.S. Winner. 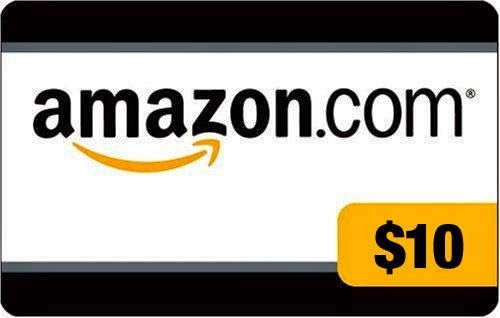 If you are outside of the U.S. and are the winner, you will instead receive a $10 Amazon gift card. Winner will be chosen by December 23rd, via Random Rafflecopter. Sometimes I enjoy a great Amish book. I received the opportunity and copy of A Dream of Home by Amy Clipston by BooklookBloggers for my review. I have to be honest, I haven't read any other books from this author before, and I didn't realize when I ordered this book for review that it was the 3rd book in The Hearts of the Lancaster Grand Hotel series. However, I decided to just read it anyway and hope that their wasn't too much that didn't make sense from not reading the previous two books. Madeleine's fiance's death changed everything for her. Her life as a nurse, her life in the military no longer felt like the life she wanted, it didn't feel like home. With her grandmother's passing, and then the inheritance of her home and property. Madeleine felt she had nothing to lose by moving to Paradise, Pennsylvania and getting a job at the Lancaster Grand Hotel. Respectful of her Amish neighbors Madeleine tried to keep her distance, and when in their presence respect their traditions and customs. After all her grandparents were Amish and she visited them as a child, learned Dutch and while she visited she acted and dressed Amish so she was familiar in sorts with their lifestyle. Having no desire to change too much of her grandparents home, she even decided to only make mild updates and keep the home electricity free. Saul Beiler lost his wife years ago. Not how most Amish loose a spouse, his wife fled the community and left her for another man. He is lonely, but does the best he can to raise his only daughter. He is also hard hearted and worries about influences that might disrupt his and his daughters life. So he airs on the side of caution, which is why when his English neighbor moves in, he wants nothing to do with her. But sometimes strange things can happen, and when you try to avoid someone sometimes that just invites you to run into them even more. That is the case for Saul and Madeleine. Their cultures are very different, so different that even a friendship seems out of the question for Saul. However, his daughter feels otherwise and Saul finds his own heart softening. I did enjoy the read, found it to be pretty fast and uplifting to spend a nice afternoon reading. For the most part I enjoyed the story line and writing. My only issue was sometimes I felt like the information given on the Amish was a bit of what I like to call"information dumping." In other words at times (not often) but the author would add some Amish tradition into the story line and it was pretty obvious what was going on and why they were doing it, but sometimes the author would then go on to tell us (in the story) why that tradition or custom was done. I personally just felt it wasn't really needed, I like to think that when a story is good enough there is no need to think the reader might not get it. However, other than that little factor I really did enjoy this book. A Dream of Home is a book of healing, love and understanding. One that will invite you into the Amish culture and give you a peaceful uplifting read to enjoy! Although it can be a stand alone, this really should be read with the rest of the series. I absolutely never share an ending, but I will say the way this one is left, really makes it impossible not to want to read the next one A Simple Prayer which comes out in April 2015. 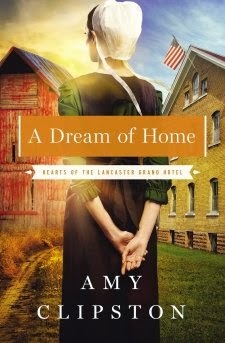 If you enjoy Christian Amish reads, then you will likely enjoy A Dream of Home. You can read more about this book and others via Amy Clipston's website. Or if you are looking to purchase, visit Amazon for details. 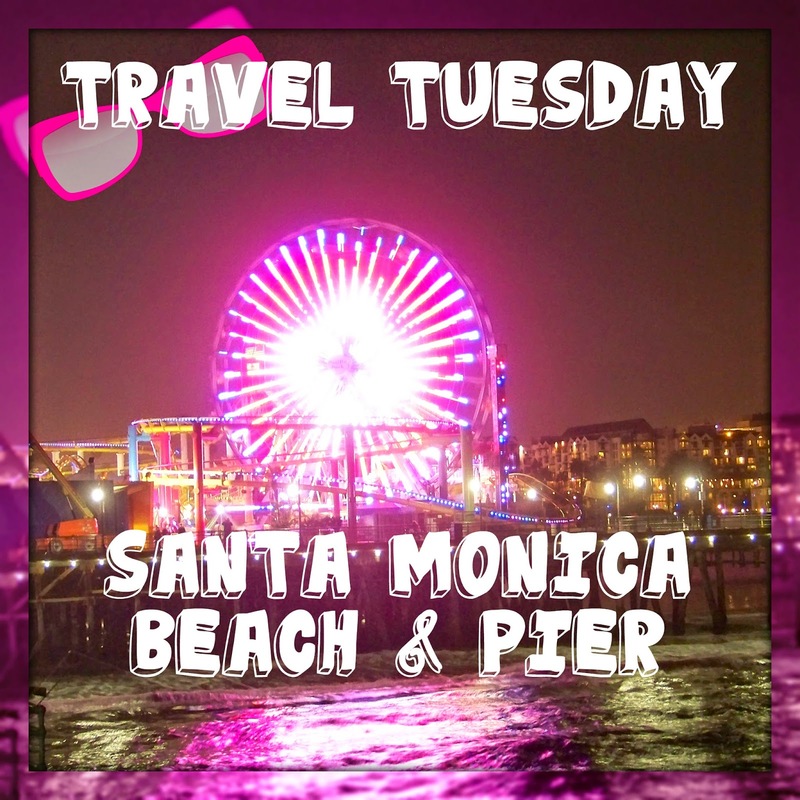 This week for Travel Tuesday I want to showcase Santa Monica Beach & Pier. Whether you enjoy days at the beach, concerts at night, surfing or paddle boarding, fishing, amusement parks, eating or shopping. There is a little bit of everything for everyone. 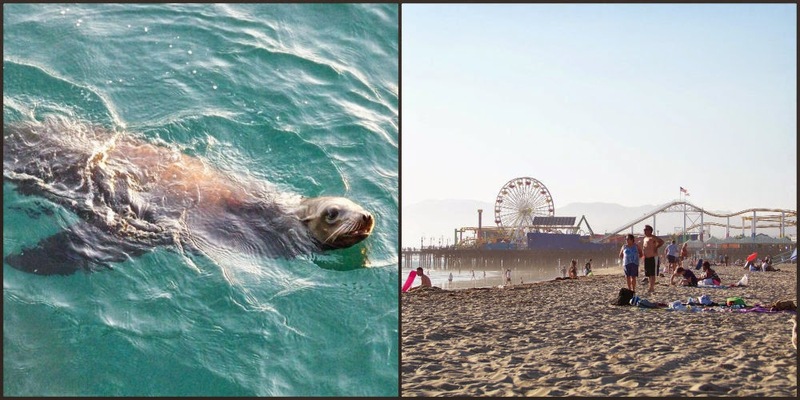 If you are going to be in the Los Angeles, California area, this is a fun beach destination to pick to visit. Although it can probably get crowded at times, it really does have a little something for everyone. For those who like to soak in a few rays, play in the sand or water. There are lots of long sandy beautiful beaches on both sides of the pier. The beaches have lifeguards on duty during certain hours. Additionally, there are lots of beachside activities from volleyball to walking/running trails. The pier is full of fun, food and shops. Hang out there during the day, night or both. You'll get a different feel and vibe from daytime to nighttime. It's great for adults or families, there is something for everyone to do. You can sign up to take tours, go fishing off the pier. Play at Pacific Park and ride the rides. Visit the aquarium or play in the arcade. 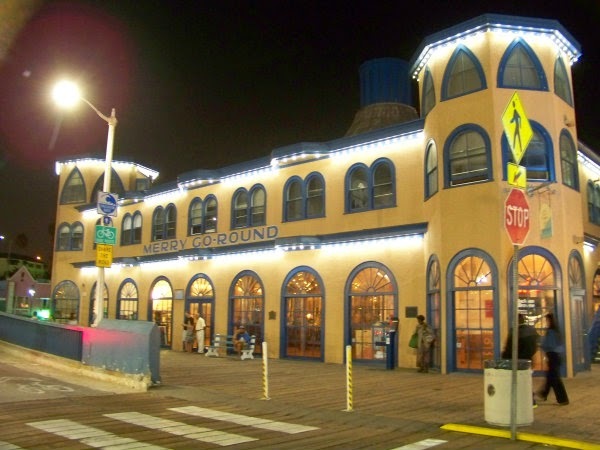 Rent a bike or ride the historic carousel. At night depending on the time of year, you may be able to sit back and enjoy live concerts, or movies on the beach. If you are planning to visit, I'd recommend checking out their website first so you can see what different things you can do or participate in during the days you'll be there. 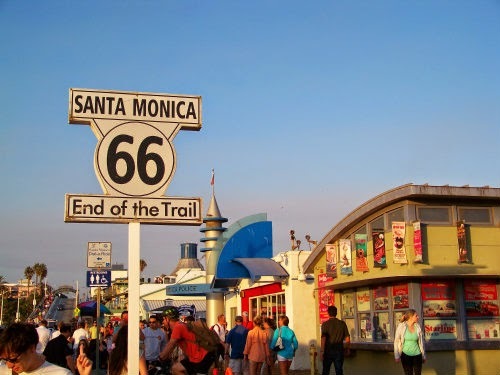 Additionally it's home to the end of the trail for the famous historic Route 66 road. If you are really looking for some fun adventure. If you have the time to drive across the county, hop on the road in Chicago and drive it all the way to Santa Monica! I haven't done that, but it would be fun to try one day! 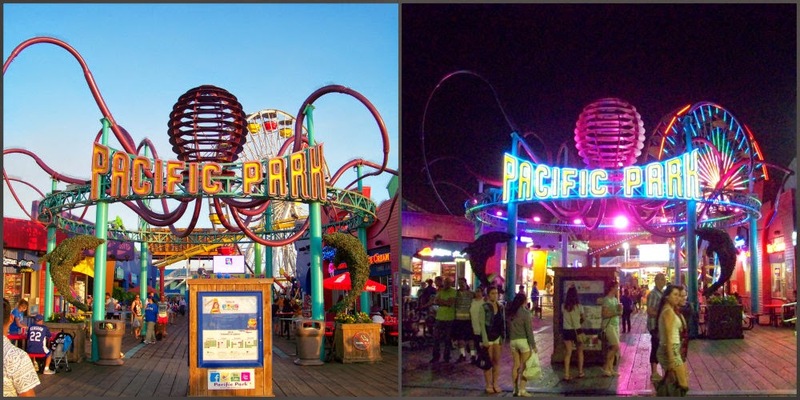 Have you been to Santa Monica Pier before? 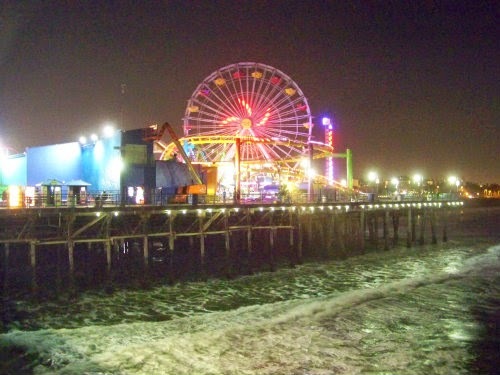 Their are a lot of great beaches and piers around the country/world. What are some of your favorites? A few weeks ago I started working with my 3 year old niece teaching her fun large words to use. It's totally cute, and she's super smart and speaks better than most first graders so you can actually tell what she is saying. Since her mom taught her that slow drivers on the road are "amateur's" I figured it would be okay to expand her vocabulary a bit more. I have successfully taught her when her parents asks her to go to bed, she now says: "I can't I'm Nocturnal." This week I taught her when she is asked to do something that she isn't sure she wants to do, to tell them she is apprehensive about doing it. That one took a little more practice, but 5 minutes of fun game work with her and she's got it down! I love being an aunt!!!! Best job ever!!! Last week my run on Tuesday was probably one of my most enjoyable 5 milers all year. Just one of those days where you just love to be able to run and it comes with such ease that you just get that little mini high! About a month or so ago I had a little injury flare up, I was able to get it to calm down quickly. However, although I was able to get the main pain to go down, I was never able to get the extra swelling to go down. I should have known that would cause me problems later on, but nothing I did would make it go away, and since it's been swollen for over a year now, I didn't worry to much about the additional swelling. Then Wednesday the area that had the extra swelling for the past month, had occasional hints of sharper pain. Thursday I woke up with even sharper pain with every step. I had gone out to go out on my morning run, but turned around after 1/2 mile. Sharp pain, means something is wrong and I knew I needed to get off of it. It drove me to tears because this stupid work injury is like never ending, if it's not one thing its another. This is the first time, since I started the rehabilitation that I actually had pain when running. In the past, I haven't, or it's always just been when walking or standing. Running has always been the one thing that didn't bother it, and in some ways actually helped it. Which is why the pain while running brought me to tears. Anyhow, back in the boot Thursday, Friday, Saturday. I started to notice the sharp pain is decreasing each day. Sunday I walked around a little (cautiously) not in the boot, to see where things are. I haven't had any sharp pain, which is a good sign that maybe whatever is going on, I was able to catch quickly. But the swelling is about 3X the normal swelling, which normally I would be concerned about, but anytime I have to go back in the boot my ankle swells up this way, so we'll see. 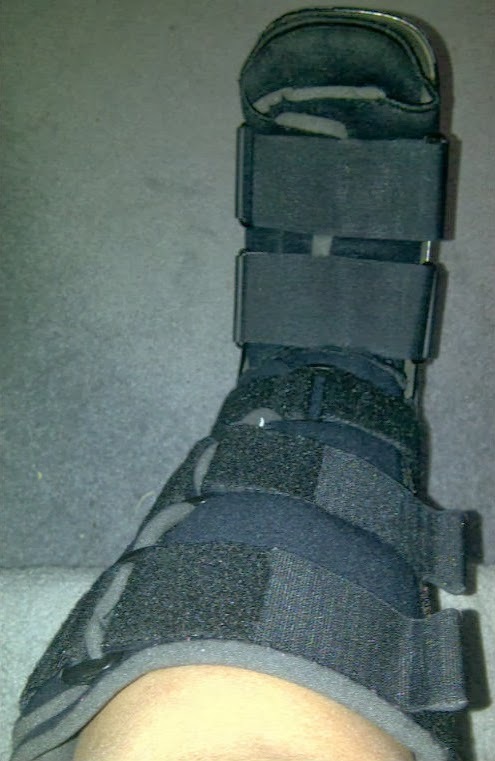 I'll continue to wear the boot at nights, and transition out during the days a bit and see how things go for the next week or so. I'll start increasing the PT each day a bit more, so I can keep the strength up while it is healing. As long as I am doing nothing that causes the sharp pain, then I know what I am doing is likely working. But I signed up to work 4 days on my feet this week, and that was probably not so smart on my part. I may end up having to just call in sick. I am done letting this 2nd job ruin my life! So yeah, that's pretty much it. I'm not happy about it, but I am trying to keep a good attitude and focus on what I can do to heal this quick. The bummer is not being able to go out and run in this beautiful weather now! I have been mentioning my vehicle problems for a while now (sorry). My car was back at the repair shop pretty much all of last week again. They have done everything, and its becoming apparent that sometimes a vehicle just goes, and it's time to buy a new one. I am hoping their new fixes will get me through the month or so. But I am already looking, well honestly I am not. But I did tell my brother-in-law who works at a dealership to keep his eyes open for me. I am not looking forward to buying a new vehicle, I bought my last truck in 2000 and haven't had a car payment since 2003. I don't even want to think about having to deal with car payments again... But such is life, it happens to everyone! I have struggled with this for many years. 95% of the time I can keep it from ever becoming active. But sometimes it happens anyway. I get really tired and fatigued, struggle to keep awake no matter what I am doing. One nap a day is never enough, I find myself needing a couple. I have been in denial that it might be back, but the extreme lack of energy and double naps a day and the occasion that I sleep away a day or at least a half. Well I am finally accepting its probably back. To get it to go inactive again, I just need to get plenty of sleep (not a problem) make sure I am eating healthy and getting all my vitamins (kinda a problem of late..) and keep the daily exercise up. I have high hopes that in a month or so I will be able to say it's a thing of the past, or well on it's way to becoming one! One of the realizations I am coming to is. I seem to be okay at keeping an okay attitude when things go wrong. But what I am horrible at, is eating during those times. I find I will grab a Pepsi or two and just tell myself I deserve it. Especially lately since I get tired so much, I just tell myself I need the caffeine. Yeah, I know NOT healthy habits! It's actually really hard for me to admit this, and I only decided to blog about it, when the other day I went to reach for not my first or second Pepsi of the day, but my third. Eating good and not eating sugary junk is something I struggle with, when things are not going my way. I am not proud of it, I am actually quite humiliated by it. Hence the reason I don't take dozens of selfie's each week to post like other bloggers do. Which is why I am coming clean about the problem, admitting something that I have never actually said out loud or told others before. So I plan to share an update on my progress each week. Let's pretend I am not having an injury flare up problem right now. 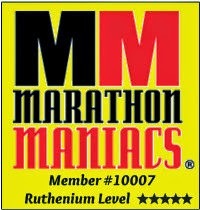 If I can get things to go right for a while, I am still hoping to get my body ready for a March marathon. Not only do I have that as my goal. But I also have a goal to lose 40 pounds before the race. It may or may not be keeping it realistic, but keeping things realistic hasn't ever really been a part of my vocabulary! Which is also I believe the same reason I achieve a lot of the goals I set out to do. Anyhow, wish me luck on that, I'll need it!!! 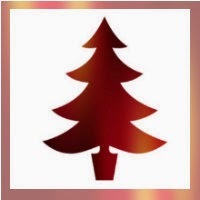 I am excited for Christmas, I love this time of year. I've already started watching a couple of Christmas movies. I have a goal to get all my cards sent out in the mail today. Another to get all my Christmas shopping done this week. So I can sit back and just enjoy the rest of the holiday season. This is actually the first year since I have owned an event decoration company that I don't have a Christmas wedding to spend all my time on. So although I will miss a holiday wedding. I will just enjoy having the week between Christmas and New Years event free and instead work on getting things ready for what I like to call Wedding Season. Which is what I call the Holiday's when everyone gets engaged, and then January & February when all the calls and consultations and bookings for the year come in. Although I am reviewing all three books in this trilogy at once, I promise this review will not ruin or be a spoiler for any of the books in the series. 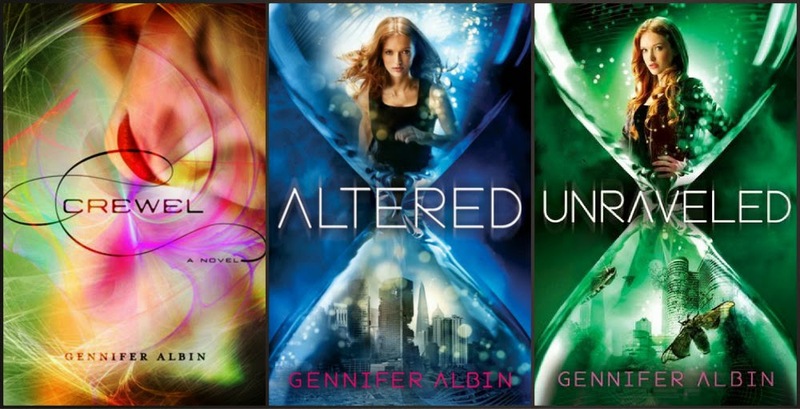 I actually listened to Crewel & Altered while I went for my morning runs via Audio Books. However, I was looking forward to how it all ended so when Unraveled came out a month ago I decided to just read this one because I knew I could read it in a few hours, instead of 9+ hours that it takes to listen to them! Crewel is an entirely different world, I am going to even go as far as to say the author had an incredibly vivid imagination to come up with this world, and quite the descriptive talent in writing to bring this new creation to life. The citizens of Arras are controlled and manipulated by their government known as the Guild. The problem is, most of them don't know it. Those that figure it out, are taken care of by the Guild and not seen again. As if that wasn't bad enough, the Guild can also control the minds of others who knew the problem citizen and can brainwash anyone or as many needed to cover any problems that come up for them. Younger citizens are tested at a point in their later teenage lives, to find out if they have any of the "talents" the Guild is interested in. Citizens with these talents are promoted in status and moved into what they call the Coventry. Adelice has known she has had these talents for many years. She can see the weaves of the very threads that Arras and her entire world are made up of. These weaves are controlled and woven by the Coventry to the specifics that the Guild and its highest ranking officials want. Adelice has hidden her talent, that was until one small mistake during her official test. Knowing she only has a short time left with her family, she decides to go home and tell them she failed the test and will not be taken away. That is until the Guild shows up at her door and throws her and her family into chaos. Within minutes she learns her own parents were harboring secrets, but the secrets came out too late to save her or them. Adelice is ripped from her life while listening to the death of her family as she is taken away. Adelice isn't just talented, she possesses the rarest of talents, she is a Creweler, an individual who can weave and do things with the world that only one other person has ever possessed. The only problem with Adelice and the Guild, is Adelice is a fighter and freethinker. She soon learns she may not be able to trust anyone, and at the same time learns that her very world is in serious danger from the Guild and it's most esteemed member Cormac Patton. Life in the Coventry isn't all miserable, she does have Jost and Erik, new friends who also have secrets of their own they are trying to hide. Things pick up when friendships are made and romances are discovered. Dangers arise and a man with a thirst for power threatens to destroy everything. It becomes Adelice and her small new group of friends that may be Arras only hope. 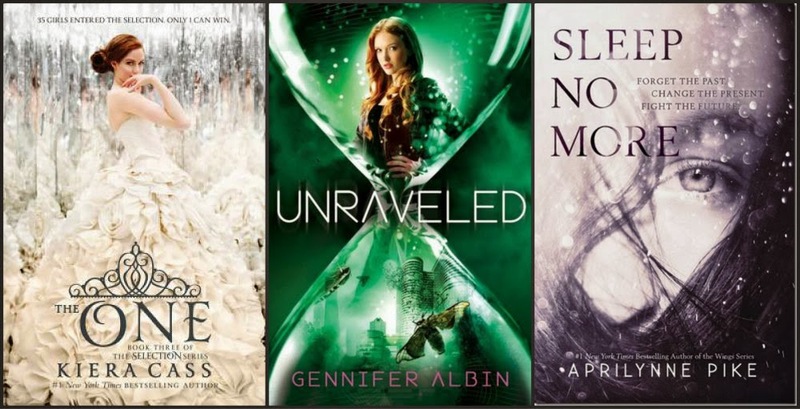 The Crewel trilogy by Gennifer Albin are books filled with adventure, imagination, romance and choices of who to trust and who not. They are also about destiny, and learning that sometimes your created for more than just a simple life and desires you may enjoy. Sometimes, your destiny may be entirely about others, an entire world of others. Each book is filled with it's own set of adventures, I found them all to be quite fast paced. If you love cliffhangers and a few surprises that come at you without expecting them. You'll really love this trilogy. The good news is, those cliffhangers will only be so, as the entire trilogy is out and available to read now. I read and reviewed these books on my own, I was not asked to write a review. I am sharing purely because I enjoyed them, and think others will too! 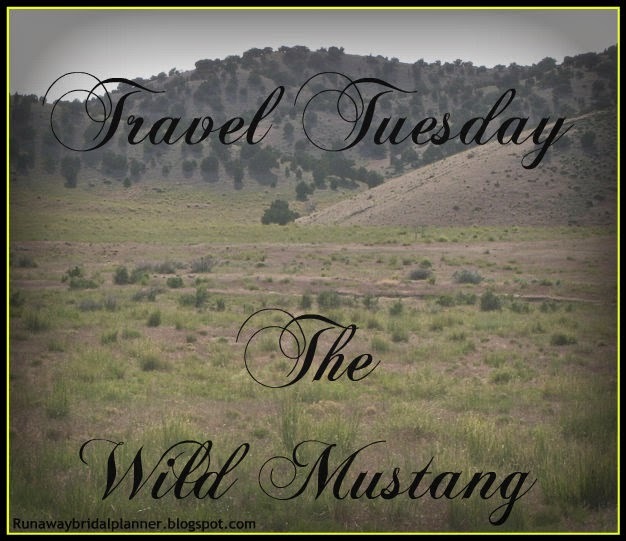 Every now and then I like to introduce you to a different idea on Travel Tuesday. This week is again not one of those things that a lot of people think of doing. But for those who have had the opportunity, they will tell you it is a beautiful and amazing experience. Seeing Mustangs out in the wild. I have to tell you, I absolutely love horses. If I lived or owned a ranch you can guarantee I would have several of them. 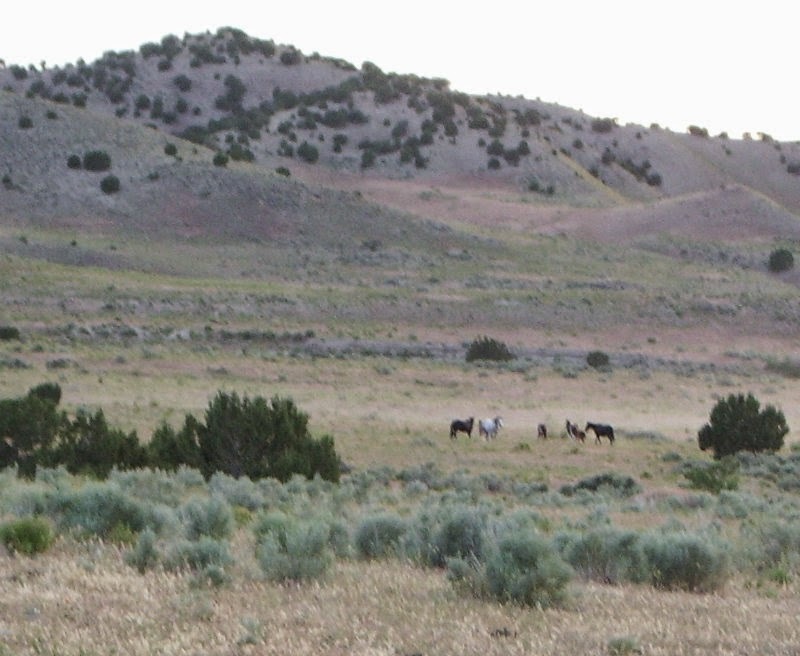 Maybe because I enjoy old westerns, and the idea of horses roaming free, is possibly why I occasionally like to take a day and travel out to see if I can be lucky enough to find a herd or two of Wild Mustangs. I will tell you these photo's are taken in Utah. However, because I really enjoy my quiet little hot spot that I have come across, I am not going to tell you the exact location. However, there are many places you can travel in the United States (most in the western states) that will give you the best opportunity to see the beautiful creatures in the wild. Of course, if your a friend of mine and visiting Utah and this is something you really want to do and see, I might be easily persuaded to take you out and show them to you. Even though their can be anywhere between 50-800+ in an area, believe it or not they can be hard to find if you don't ask for local tips first. Wild horses generally will avoid people, in my experience it takes a lot of time to be able to get close enough to wild ones to get photo's, So if you go, plan on enjoying them from a distance. I even suggest bringing binoculars. I do apologize for the quality of my picture's they were not taken with my better camera:( and some were taken while moving. 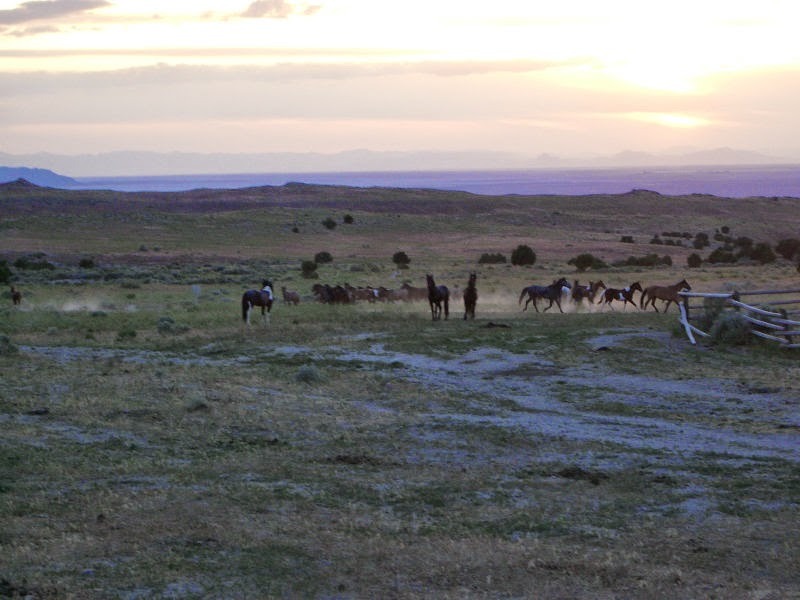 The particular area I visit is home to around 600 wild mustangs (give or take.) However I have only seen a few hundred at any given time, as there are many herds and they tend not to (when I see them) all hang out together. 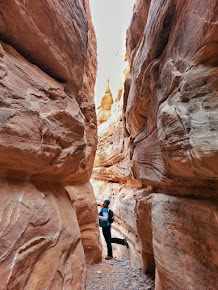 But I can hear them in the different canyons around, even when I can't visually see them. Which is pretty cool to hear in itself. 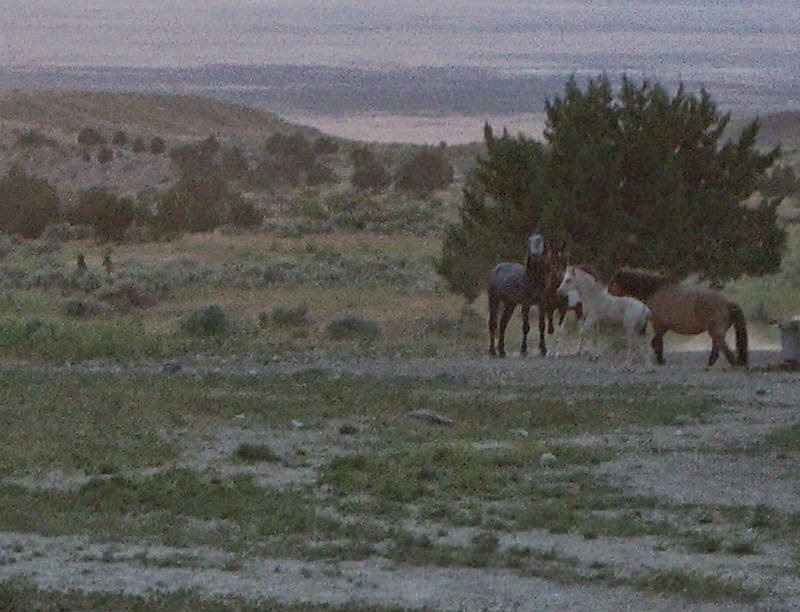 I'll tell you a tip for seeing wild horses, and I make no claims that this will work each time. 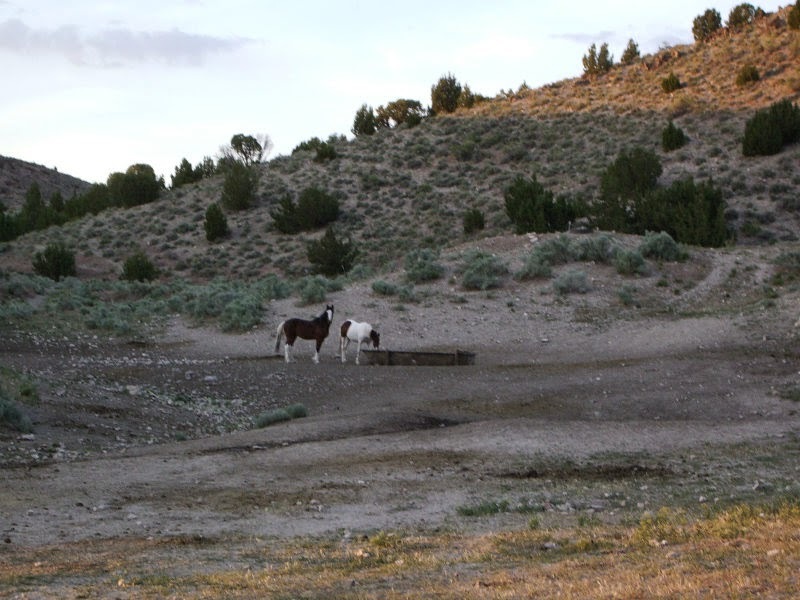 However, a lot of horses get really thirsty before sunset. So if you stay a safe distance away from their water source. (You must find this first.) Then you have a much higher chance of seeing them come in closer, and they'll be much easier to see than when they are up in the mountains or hiding in the tree's during the day eating. However, you may have to scout them out during the day with binoculars to discover which water holes they will be coming to later that evening. The photo above, if you look close you'll see the dust trail behind the leading horses in the picture. I have to say, listening to a herd of horses stamped down a dirt trail is so much more awesome than hearing/watching it in a motion picture. I shouldn't admit this, but yes I was driving my truck fast down the dirt road, along side them which is kind of why they were running. Its also another reason why the picture quality isn't the best, because it's kind of hard when your moving and they are moving. I think horses are beautiful, and if you ever are able to have the opportunity. 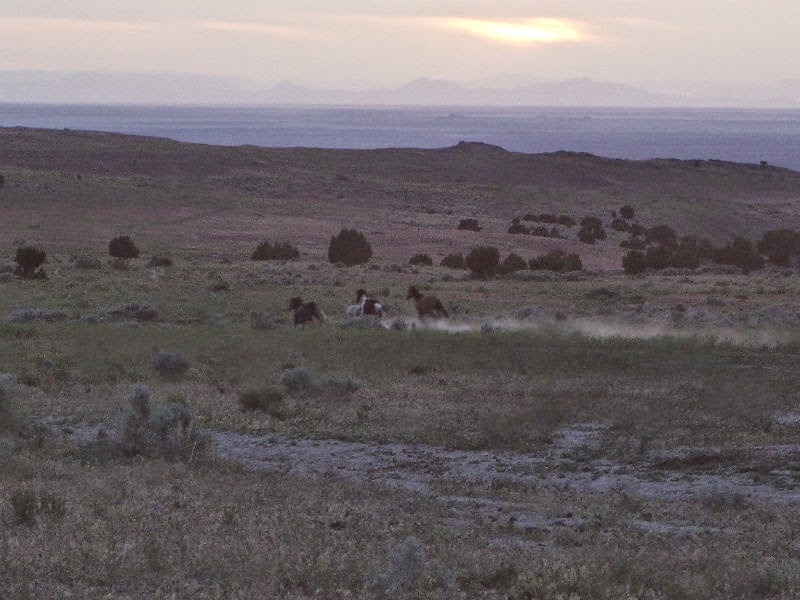 I will say, watching wild horses grazing, running and playing is an amazingly beautiful experience! Mustang's are very protective of their herd. Do you see the two black mustangs in the center of the above picture? They came up first and check things out to make sure the area is safe. Once they decided I wasn't a threat to the herd, they called the rest of the horses in. They came in pretty much at once, I guessed around 100 (give or take). They drank and took off back towards the mountains when finished. 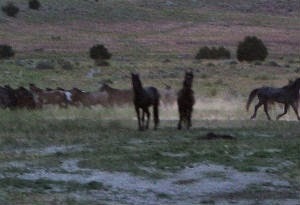 The two black mustangs stood guard watching me the entire time. Each time I visit them, pretty much the exact same thing happens. Where I go, there are many herds. They come down to drink water in the evening and come from all directions. Which is why I don't try to approach them. Plus, after a long day, they deserve a good uninterrupted long drink! However, sometimes they do surprise you, and I have many times had them come up behind me a little too close for comfort. Once out hiking earlier in a day, as I was trying to spot them to decide where they would be coming down to drink that night, I came up over a hill and accidentally happened right upon them a bit to quickly. Let's just say the lead mustang wasn't exactly welcoming. He didn't charge, but made it very clear I needed to get out quick, which we did. The key to viewing these beautiful animals in the wild is to respect them. Make sure you are not getting too close, and don't shout or annoy them. They are smart animals, they can tell pretty quick if you mean harm or not. But even so, you should always remember to keep a safe distance and remember these are not at all like the horses you see in corrals or on ranches. They are after all wild and should be respected as such! 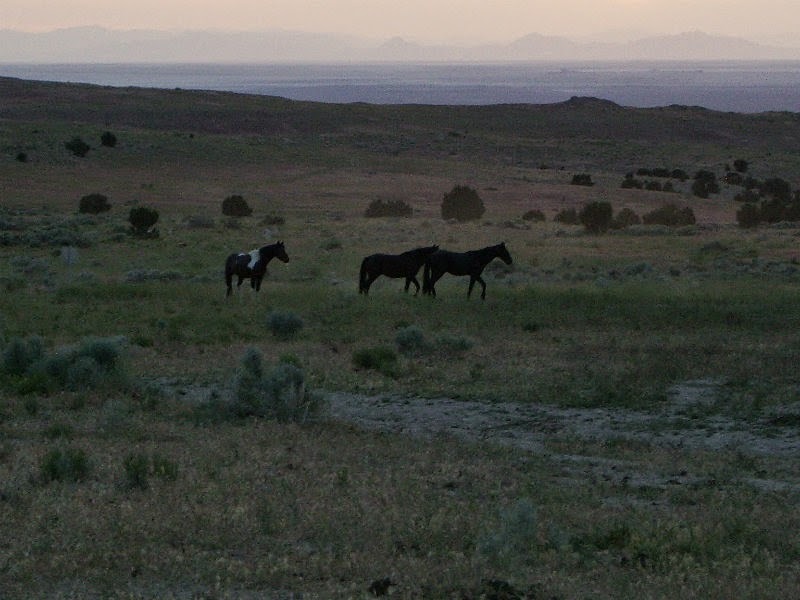 * More than half of the wild horses in America are actually in Nevada.